Thanks to all our customers for voting Jay's Ice Cream & Sunshine's Gelato the best in Milton for the last 5 consectutive years! We offer hard ice cream, soft serve ice cream, sherbet, as well as home made gelato, sorbet and yogurt all under one roof. Up to 66 flavour options from which to choose! We have something for everyone....milk free, sugar free, gluten free, low fat, and no fat options available. Sundaes, banana splits, twister mix in cups, milkshakes and so much more. Come by and check us out!! We also cater our gelato and ice cream products (minimum of 100 guests). If you would like gelato at your wedding or upcoming event, please complete the info on our reservation page and we will provide you with a quote. Ice cream, yogurt, sorbet, sherbet, gelato, milkshakes, sundaes, birthday cakes, ice cream cakes, ice cream to go, soft serve yogurt, soft serve ice cream, milton, acton, georgetown, oakville, brampton, burlington, mississauga, ice cream catering, gelato catering. Has been proudly serving Milton residents since 1997! 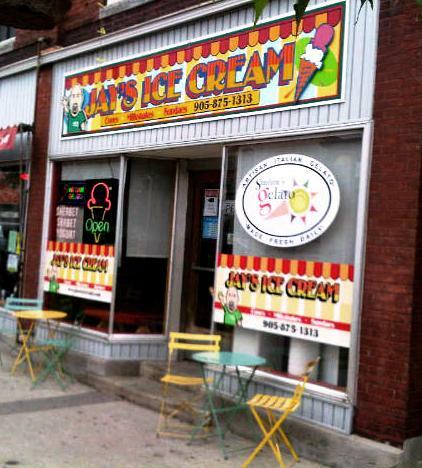 We are an old fashioned ice cream scoop shop located in the heart of Milton ON. We serve ice cream by the scoop on cones or in cups, create wonderful sundaes and some of the thickest milkshakes around. We serve up generous scoops at prices family's can afford. Swing by with your family today to see for yourself. Our Gelato, Sorbet and Yogurt deserts are made at our retail location at 146 Main Street East in Milton Ontario. We use only the freshest of ingredients to ensure the best possible product. 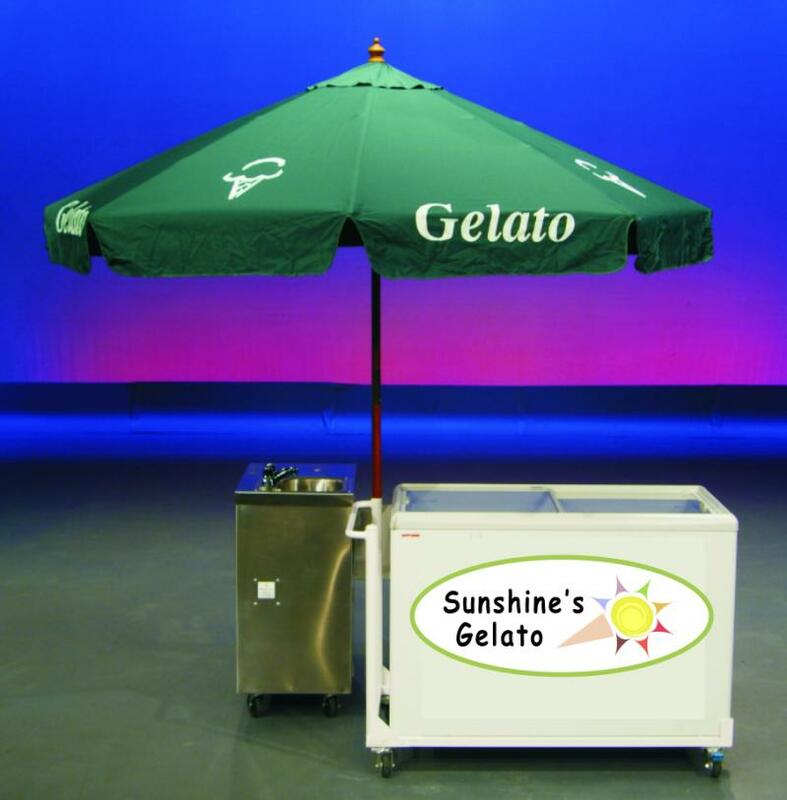 Our portable Gelato carts can display up to 9 flavours and can hold up to 150 litres of product. Set-up and taken down in minutes, our carts require only 8 feet of space and a single standard wall outlet (a portable generator is used at outdoor events where power is not available). We have catered to private functions, weddings, rib fests, farmers markets and more so we have the experience you need to ensure your function goes off without a hitch!